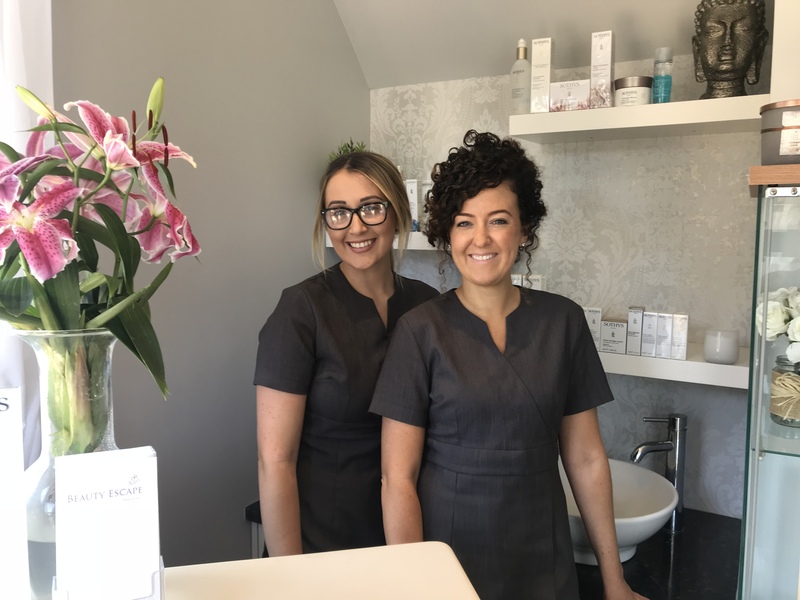 Naomi Opened Beauty Escape in February 2013, after qualifying in 2007, she went on gaining salon and spa experience until she decided to start her own business. Offering a place of tranquility and quietness for her clients to come and be pampered. Beauty Escape has gone from strength to strength, treating her fully established clientele and many wonderful hotel guests. Her favourite treatments would probably be her ever growing selection of Sothys face and body treatments, reflexology and specialist waxing. Louise joined Beauty Escape in early 2018. After qualifying in beauty and holistic therapy in 2015. Her dream to work full time in a beauty salon left her looking for a full time position when she met Naomi at Beauty Escape. An amazing asset to the salon with her warm, welcoming and friendly personality and her attention to detail and expertise in eyelash extensions has gained her so many new and existing clients. Her other favourite treatments include shellac manicures, pedicures and full body massage.